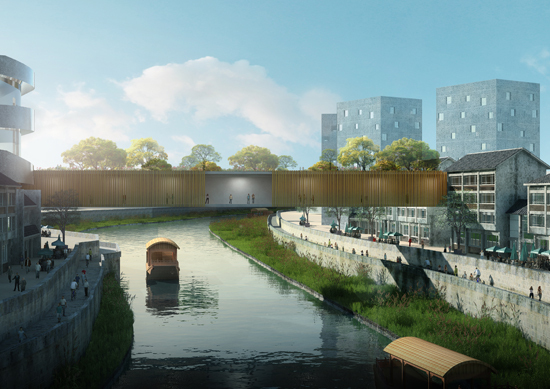 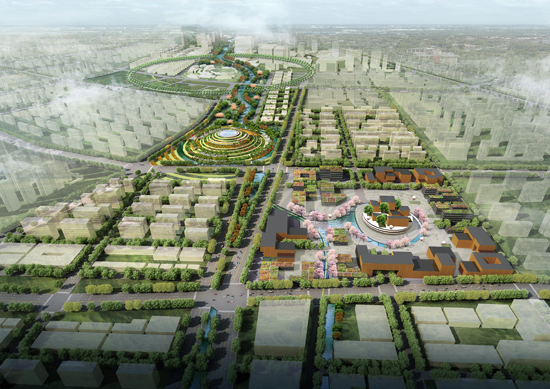 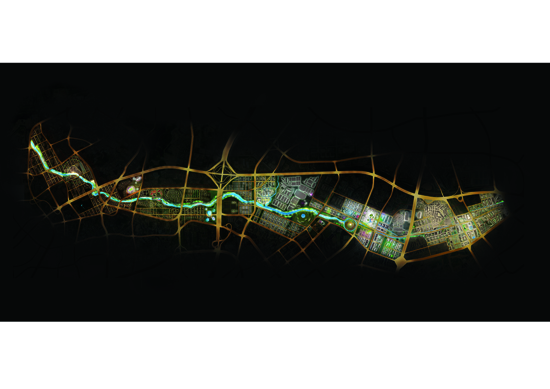 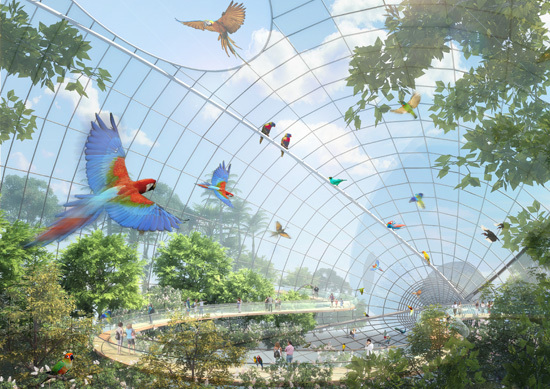 The urban planning of Guanlan River eco-cultural corridor. 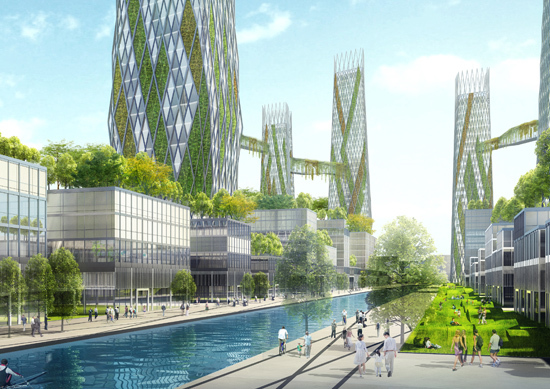 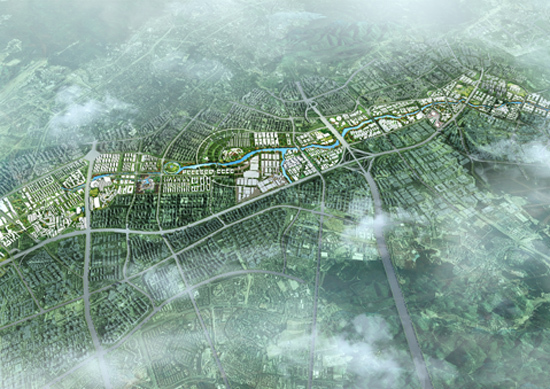 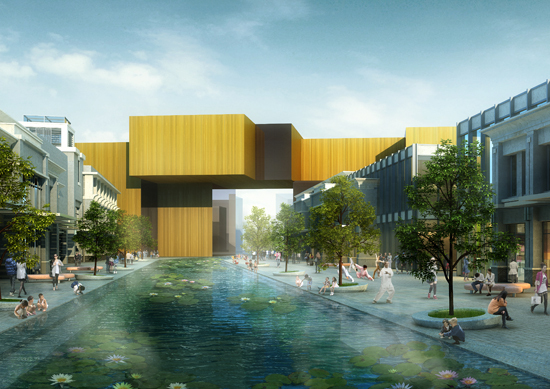 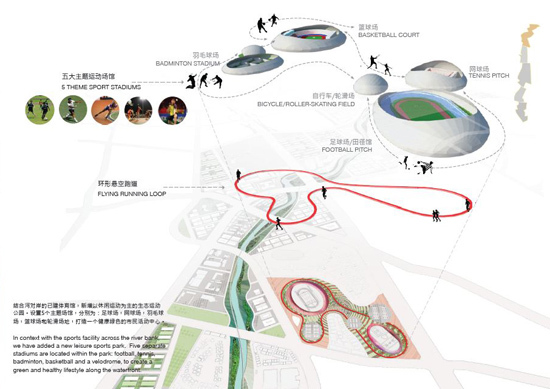 AO proposed the creation of nine thematic hubs along the spine of the Guanlan River forming a series of circular planning intended to create a strong visual identity and districts with unique qualities . 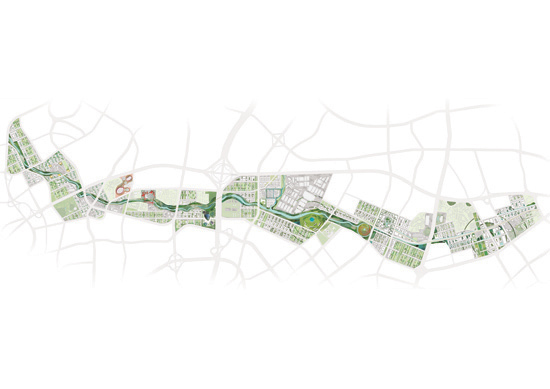 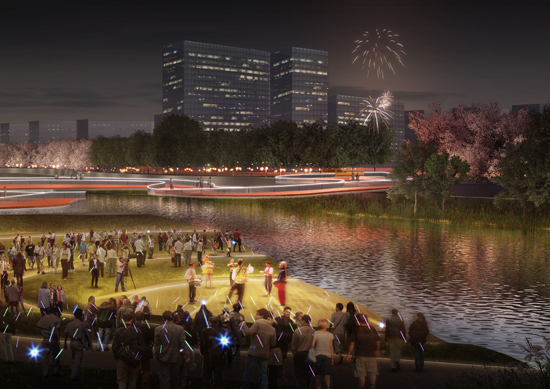 Those interventions were described as ‘ripples’ in the way they both influence the existing city fabric and also absorb the natural river.